Super Savings Item! 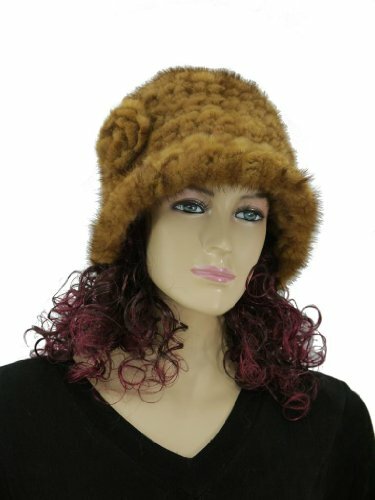 Save 32% on the Mink fur knited Hat with Rosette Round flange (Whisky) by Hima at Laurenee Lifestyle. Hurry! Limited time offer. Offer valid only while supplies last. A fun twist on a traditional hat. This classic style hat never goes out of style. Genuine knitted Mink Fur. Very silky soft and light weight. A fun twist on a traditional hat. This classic style hat never goes out of style. Genuine knitted Mink Fur. Very silky soft and light weight. Guaranteed to keep your head and ears warm. Very comfortable fit.